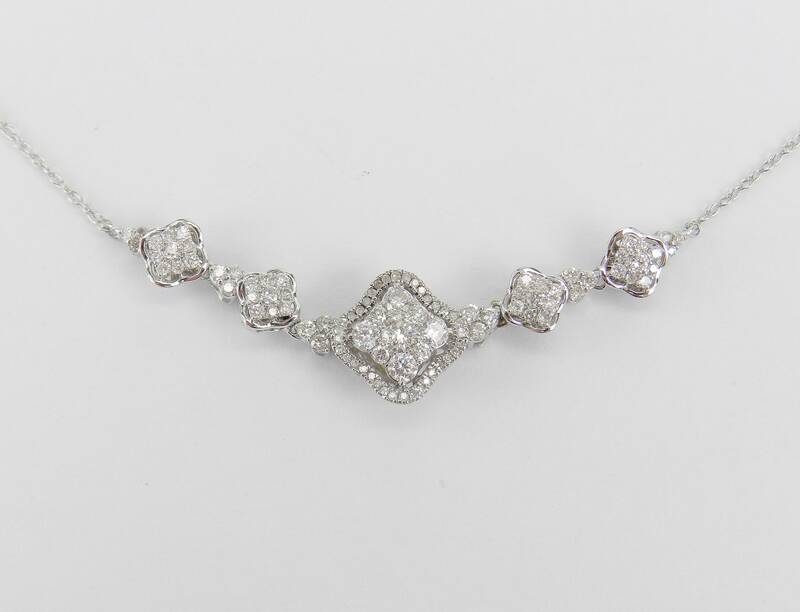 White Gold Diamond Cluster Necklace Pendant with Chain. 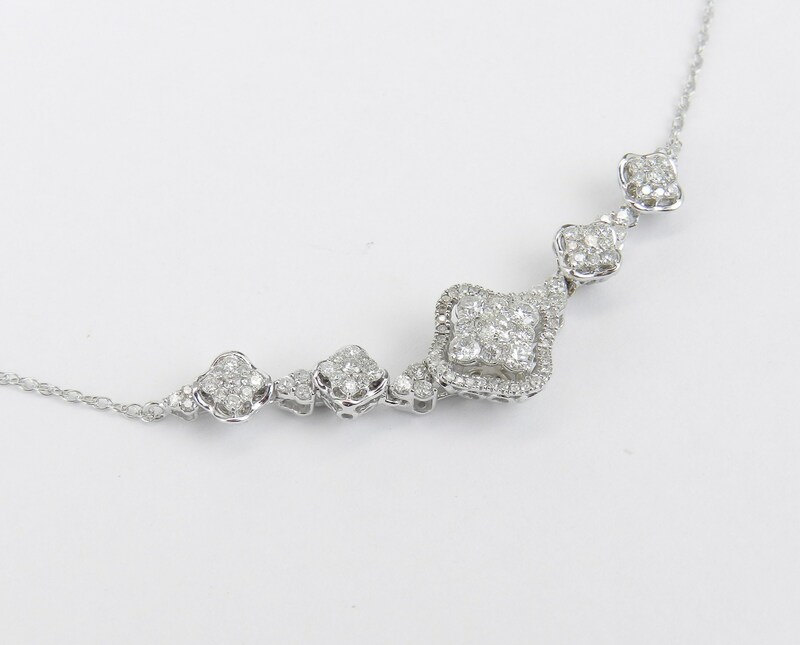 This necklace is set with one hundred and three (103) genuine natural round brilliant diamonds. 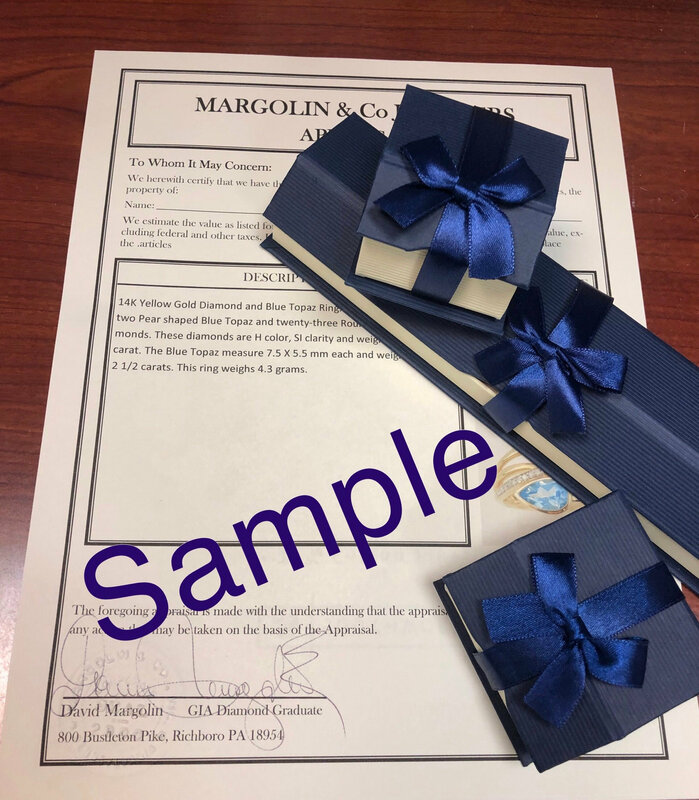 These diamonds are G/H color, SI/I clarity and weigh a total of 1.00 carat. 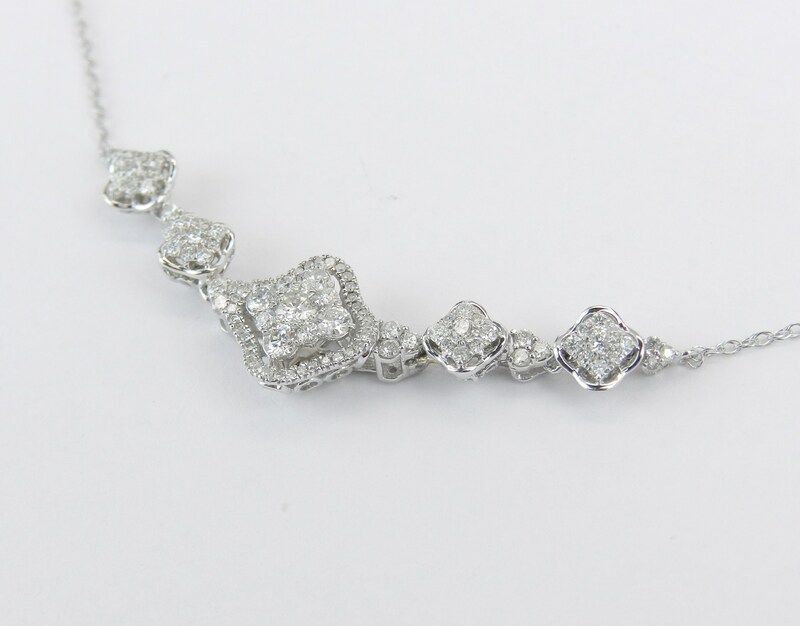 This necklace is 10KT White Gold and measures 18" in length overall. 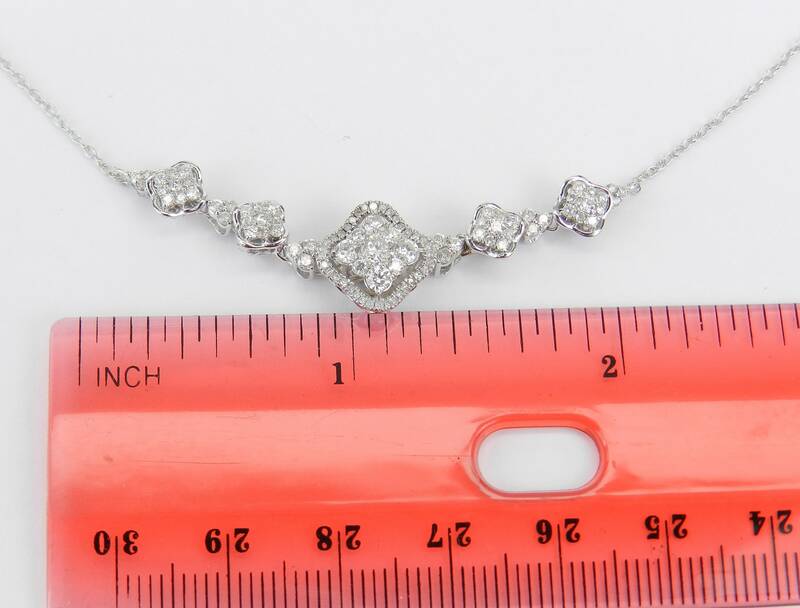 This necklace weighs 3.7 grams and the centerpiece measures 53 mm across. 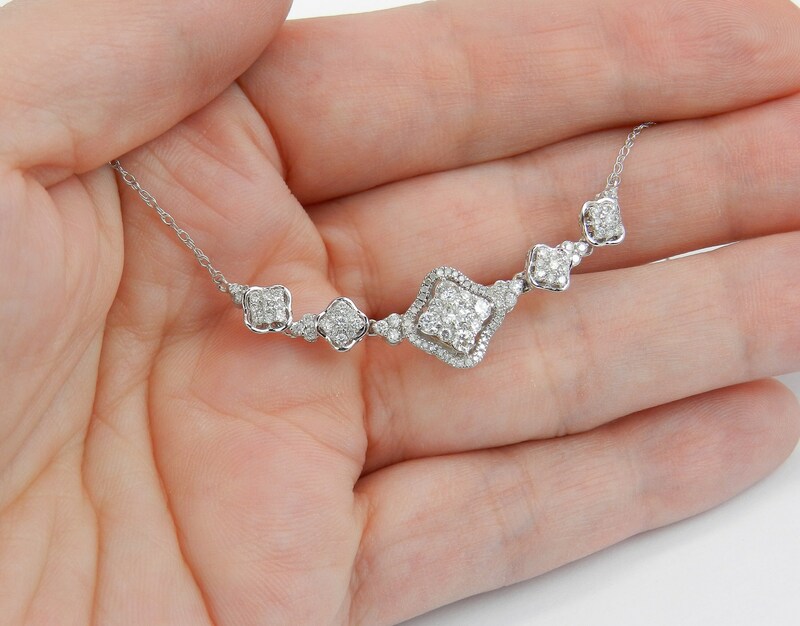 This necklace will be accompanied by an appraisal written by a GIA Certified Diamond Grader with the retail replacement value of $1,995.00. 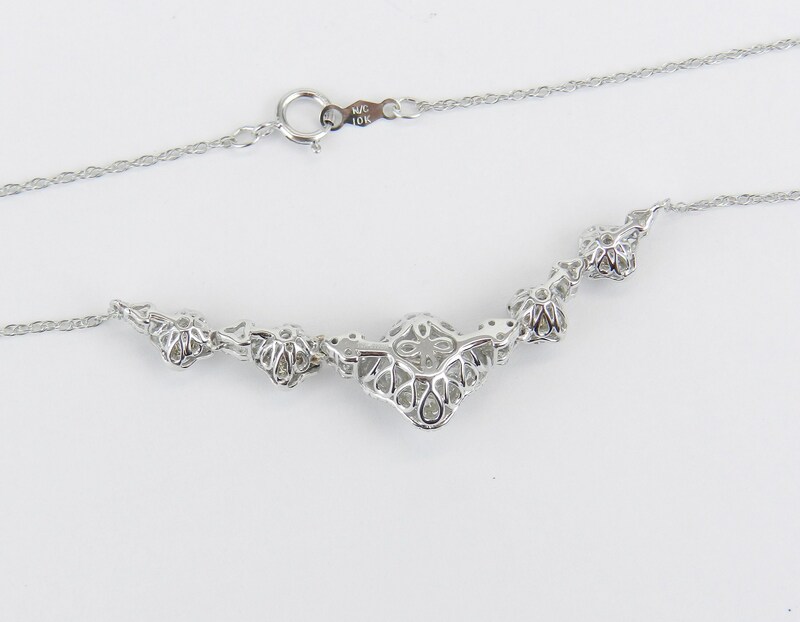 I will ship this necklace promptly in a beautiful gift box.